They hover in close formation against the backdrop of a cloudy Kent sky. The two mysterious bright lights were photographed on January 6 floating over Chatham. Less than a week later, four similar lights were seen over Essex, shining brightly against the dawn. The remarkable sightings were made just 30 miles apart in an area now dubbed the country's UFO hotspot. The first image was captured by Ernestas Griksas, 21, who was taking a picture of a cherry-picker outside his home in Chatham at around 1 pm. 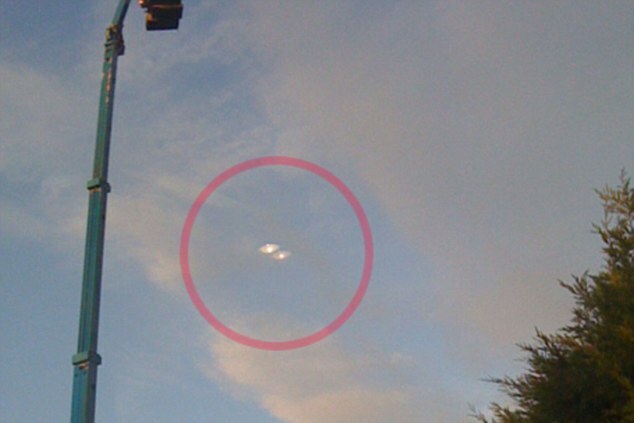 Unexplained: These two bright discs were seen over Chatham in Kent on January 6. 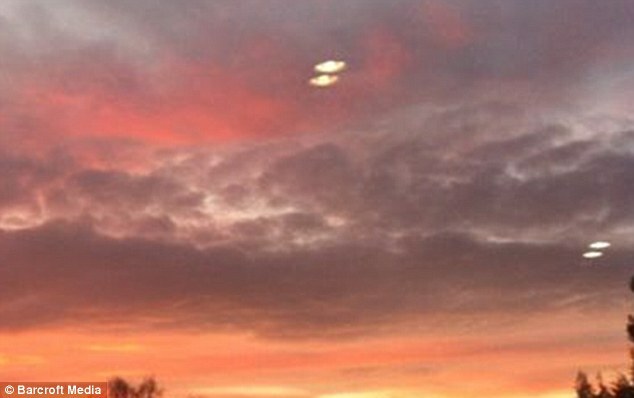 Double trouble: A week later these four glowing discs were seen 30 miles away in the sky over Essex. When he looked at the image afterwards he saw the bright disc-shaped objects. 'As for the large one, I'm not sure. It might be some sort of atmospheric plasma phenomenon, but it's difficult to say. He added: 'The South-East does seem to be a hotspot at present. I'm not sure why.